This is the abridged version – based on Auriel Stein’s reading – of the early verses of book VII of Kalhana’s Rajatarangini with some supplementary commentary/detail enrichment. The referenced text describes the fated final battle between Mahmud of Ghazni and the (Hindu) Shahis of Udhbandhapura (modern day Hund, in the Swabi district of Khyber-Pakhtunkhwa) under Trilochanapal from the Kashmiri POV. Kashmiri feudals played a major role in this battle, and one of their own, Tunga, a Khakha Rajput from Poonch was specifically responsible for losing the initiative and the battle. This resulted in the complete destruction of the Shahis and ultimately opened the way for Ghaznavid (and many more) Turkic incursions into India proper. In the laukikA era four thousand and eighty nine (1013CE) the ruler of kashmIra-bhU (kingdom of Kashmir) was saGgrAmarAja – great grandson of kubhesha (lord of Kabul) bhIma shAhi of the great shAhIyaH dynasty. saGgrAmarAja had inherited the throne after a long series of succession intrigues (interspersed with violence) in the court of Kashmir through his maternal aunt (and erstwhile queen) diddA, sister of saGgrAmarAja’s illustrious father udayarAja and grand-daughter of bhIma shAhi. One of the principal architects of these court intrigues was a certain khAsha (cf Khakha) rAjaputraH (Rajput) from parNotsa (Poonch) by the name tuGga, who had gained importance in the court of Kashmir partly due to his political machinations but also due to his infamous affair with queen diddA. diddA had elevated tuGga to sarvAdhikArin (prime ministership) of the country while she was alive. However, she was forced by the Kashmiri DAmara-s (feudals) and brAhmaNa-s (priests) to choose the successor king from the royal family and udayarAja’s son was the obvious choice. While the relations between saGgrAmarAja and tuGga were never good, queen diddA – on her deathbed – had made both of them take kosha (oath by sacred libation) that they would not harm each other. While these intrigues were going on in the court of Kashmir, the related shAhi dynasts of UdabhAndapura (Hund) were zealously trying to keep the turuSka vAhini-s (Turkic armies) at bay. Therefore, in the month of mArgashIrSa (mid November – mid December) of laukika 4089, king saGgrAmarAja dispatched sarvAdhikArin tuGga to UdabhAndapura, country of his illustrious second cousin shAhi trilocanapAla who has asked for help against the turuSka mlecchAH (barbarians). A large army followed the sarvAdhikArin. In attendance was his own son kandarpa-siMha, many rAjaputras from dvigartaH (Dogra), trigartaH (Kangra) and jalaMdhara (cf Jallandhar), chief councillors of the court and Kashmirian sAmanta-gaNAH (feudals, i.e. lAvanya-s, modern day Lone caste in Kashmir, and DAmara-s). Other officers of high rank: the mahAsaMdhivigraha (the chief minister of foreign affairs), mahAsAdhanabhAga (chief administrator) and mahAshvashAla (lord of the horse cavalry) also followed him. It is as if the himavataH (Himalayas) themselves shook at the sight of them all. Thus, in the cold morning of the end of the first week of mArgashIrSa, laukika 4089 (~25 Nov 1013), tuGga left his fortified position with a detachment to cross the tauSi and defeated a small corps that the turuSka chief, hamIra (Sanskritization of Mahmud Ghaznavi’s title, amir-ul momineen), had sent for reconnaissance. And the fateful battle commenced. Later in that morning came in fury and full battle array the leader of the turuSka army himself, hamIra, skilled in battle stratagem. The small cavalry of tuGga could not hold the line and dispersed immediately. shAhi’s force, however, joined the battle at this point. Also aiding them from the Kashmirian army were the brave lAvanya lord, jayasiMha, the DAmara lords, vibhramArka (related to king saGgramarAja) and shrIvardhana. These valiant men, fighting on the terrible field of battle that resounded with the tramp of horses and the clash of metal, preserved the honour of their country (Kashmir) from being totally lost (on account of tuGga’s actions). Who can describe the sheer bravery of trilocanapAla, whom numberless turuSka-s could not subdue in battle? [Here Kalhana refers to trilocanapAla as simply trilocana – the three-eyed one – a common epithet of Lord Shiva, and uses that metaphor explicitly]. trilocana causing floods of blood to pour forth from the mleccha in battle verily resembled Lord Shiva sending forth the fire that burns the world at the end of kalpa (~armageddon in Hindu mythology). Even after fighting a sea of armour-clad soldiers in battle tirelessly, trilocana remained singularly committed to fight unto his death rather than retreat. The battle see-sawed and even when trilocana was losing, he resolutely tried to marshal his force of elephants to press on for victory. When finally trilocana passed away, the whole country of gandhAra was over-shadowed by hordes of these cANDAla-s (barbarians) like a cloud of rapacious locusts. Yet hamIra did not breathe freely having witnessed the bravery of the illustrious trilocana and his troops. Epilogue: It cannot be overstated what a calamity for the civilized world the defeat was. The royal glory and opulence of the shAhis has all but vanished and only the name remains, and the defeat a mere incident of history. Nothing is impossible to Fate – it affects with ease what appears incredible even in dreams and what flights of fancy fail to reach. 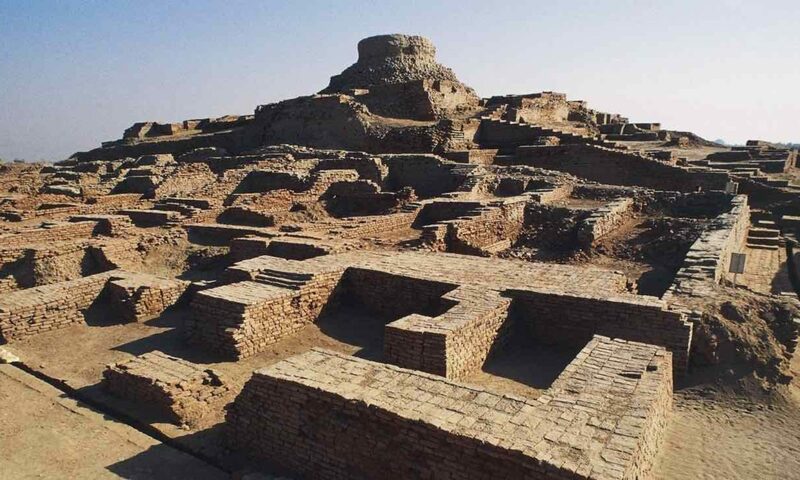 That shAhi kingdom whose greatness on earth was unmatched stands utterly ruined – now one asks whether its kings, ministers and court really did exist? And that coward tuGga, after having brought about the descent of turuSka-s on the face of mother earth by his false pride and cowardly defeat, marched back slowly to his own country. The king recalled his kosha (sacred oath) to his departed aunt and did not put tuGga out of the way in spite of his terrible defeat. Edit: Some of the comments seem to be confused about the transliteration used for Sanskrit words/names. I’ve always used the Harvard-Kyoto scheme for this purpose and have grown used to it. However, it may not be the most easy to make sense of especially for those not used to writing Sanskrit in Roman. Thanks for this beautiful extract. Kalhana’s work is indeed a joy to read ( even though I’ve only read in English translation). Truly this phase – Ghazni’s invasions were a watershed moment in Indian history. This was really when the steep descent of Indian civilization commenced which led to it becoming the recipient of Islami-Persianite & later British cultural influence while its own era of cultural expansion became a thing of the past (though obviously the Cholas were yet to raid the Srivijayas in 1013 CE). Much like Tugga, the major reason for Indian reverses, I believe, was what Alberuni noted about the Indians – their arrogance that there was no other country or people like the Indians – and this he noted after (and not before) Mahmud had already defeated several of the Indian rulers and wreaked havoc. However the Shahi kings were great and noble warriors. Alberuni also treats the Shahi kings with a lot of respect. It is worth remembering that the greatest resistance put up against the Islamic political invasion of India was from its frontiers in Afghanistan. My thoughts were similar regarding reason for Hindu reverses, but the example I was reminded of was the death of Veera Ballala III the Hoysala monarch, at the hands of Ghiyasuddin Damaghani of the Madurai Sultanate. BTW “tuGga” in ITRANS is Tunga in casual transliteration. I can’t help but guess that Afghans are probably physically stronger than Indians (if I remember right Mahabharata praises the valour of people from the region; one of the strongest fellows in the war was Bhurishravas from that region), so losing Afghanistan must have been a big set back. Steppe f#@ks invading IHG gave rise to a population that was neither here nor there in any sphere of human activity, just mediocrity all around. By the way I certainly agree it is nice to have articles like this here. Oops I meant Harvard-Kyoto, not ITRANS. Hello froginthewell, please forgive my stupidity but what does the term IHG in the above comment stand for? Indian Hunter Gatherer. I learnt the term only because I read certain posts of Razib. Okay, thank you very much froginthewell. Santosh Garu, You embarrass me by your politeness. With my frequently belligerent tone I feel very uncivilized, and a nUtilOkappa indeed, when I see you in action. Why thank you froginthewell but my situation is probably more of a paina paTAraM lOna loTAraM type in general lol. I also believe that the politeness aspect of my interactions mainly comes because of my aversion to confrontation and an overarching sense of fear constantly enclosing me which is a shame as I also believe people should be more confrontational and fight with each other in certain particular ways having to do with the intellect, to the limits allowed by civil society, and shed the primitive tendencies toward stupid face-saving, etc. Undoubtedly in the days of fighting with swords and lances physical prowess mattered more than more recent eras of gunpowder. India first losing the North West mountainious area made subsequent incursions easier probably. The British also had the most protracted trouble subjugating that area, despite huge technological and logistical edge. That is rather silly and note the change of goal-posts. The invading people referred to here are Turks, who were invaders in Afghanistan and many (if not most) of their army were Turkic at this point. Mahmud’s father Sebuktegin was a Qarluq from Kyrgyzstan, who *invaded* Ghazna and founded the dynasty. And why did this relative physical strength of Turks/Afghans not work when roughly the same people who were defeated in 1013 invaded Kashmir and Afghanistan, carved out the whole NW Frontier and brought the Kohinoor back? What gives? As the old thumb-rule goes the more you sweat in peace, the less you bleed in war. Indians lost because Turks had superior military strategy and Indian settled states lacked well-trained cavalries and standing armies to fight them off. A problem that was identifiable by kalhaNa himself. Yet embodying such advice at the state-level requires a certain durable institutional framework (over and above the occasional “good king”) that was not in place until the Brits showed up. Thank heavens for that Enlightenment! By the way, the account in Ibn Batuta’s Rihla of the Turks chipping away at the Byzantine state is a similar case in point. And Razib makes an excellent point in his post about the superiority of modern infantry tactics that led to the decline of old horse cavalry based warfare, in which inner Asians have always had an upper hand. To my mind the Battle of the Pyramids between the French Grande Armée and the Mamluke cavalry, where 20,000 Mamluke were slaughtered to the loss of just ~30 Frenchmen, was the beginning of the end of cavalry. @Slapstik, Thanks for the additional information (have read this strategy point from other people like Shatavadhani Ganesh), but how exactly am I shifting goalposts when I wasn’t trying to score at a particular one before? Also, by Afghans, **obviously** I was referring to the Shahis (to remark on why the loss of Kabul was such a big one) and I knew very well that Sebuktegin was not an Afghan. Why did you assume I was referring to Mahmud? Would you mind explaining the relevance of “Afghans being stronger than Indians” please? I infer that by “Afghan” you were referring to Mahmud of Ghazna (Ghazna being in C/E Afghanistan) and the comparative strength point was to show they won against Trilocana (and his Kashmiri allies) because of that physical strength feature. I would not call Trilocana or any Kashmiri “Afghan”, either in the old (cf varAhamihIra) or modern sense of the term. They were Indians and referred to as such by their friend and foe alike. The relevance is what I just parenthetically said anticipating your question: “(to remark on why the loss of Kabul was such a big one)”, namely on what sort of a loss it caused for Hindus. That said, don’t know what all the word “Afghan” should mean, I was referring to the geographic area and its populace of that time. Could you explain why Trilochanapala is Indian? Froginthewell those Indian hunter gatherers were pretty large robust folks. Average male height of Mesolithic era hunter gatherers is 6 feet, females at 5’11. Around page 22 of above. Them farmers made us into midgets lol. Anyway I think Indian Punjabis and Haryanvis are bigger than Afghans. Also physical stature is not really important and always declining in relevance to warfare. Think of pygmy homo sapiens overwhelming burlier Neanderthals 40kybp. We are intelligent pack animals at the end of the day. All these folks from Ghazni to Abdali were military tactical geniuses. @Bharatshontan – Thanks for the link. The bit on hunter-gatherer height, though it probably decreased due to Harappan agriculture, is intriguing, because towards the end of the ice ages Greek and Turkish skeletons are 5’9” and 5’5” ( http://discovermagazine.com/1987/may/02-the-worst-mistake-in-the-history-of-the-human-race ). Were Indians taller (less selection for shorter genes than Greece? ), or heights decreased through the mesolithic era? I agree that strategy is more important than physical strength. Boy, with so much of inferiority complex and self loathing how are you even functioning! Why don’t you remedy this mediocrity by eliminating yourself from the human gene pool. I have frequently contemplated suicide but am not brave enough to accomplish that. Thanks for your suggestion though. Wow froginthewell, ditto in my case as well! Edit: But probably for more selfish and non-noble reasons than you, I don’t want to defile your circumstances and situation, so am very sorry. Does the Sanskrit text actually record a name like Tugga? It sounds kinda funny and rustically Punjabi like a nickname in relation to all these other epic sounding Sanskrit names like Trilochanapal lol. Trying to imagine the Sanskrit verse with a Tugga in there. Maybe they recorded him as such out of derision. I’d hate if I went down for thousands of years of history by my daknaam. It is not what you think it is. Read the edit. By the way, तुङ्ग mf(आ)n. prominent , erect , lofty , high MBh. A well known Chozha was called Kulothunga and he sent naval expeditions. i thought the ghurids were the big set-back. the ghazni thing involved raids. I think the claim is that the loss of Kabul from the Hindu-sphere meant increased exposure to incursions, so that Ghurids coming was just a matter of time. Yes. But it is the fall of the entire Gandharan buffer state which was being lamented – initially centred around Kabul in the time of Bhima Shahi, but already had moved eastwards to Hund by Trilochanapala’s time. Trilochana’s fall was the last nail in the coffin of the Shahi state and the Marches were well and truly lost. No, while the Ghori invasion was more damaging politically as it established Islamic political rule over a large portion of India, it stands nowhere in terms of the religio-cultural and probably economic destruction brought about by Mahmud Gahznavi over a large part of the then India. As Alberuni says in Kitab-al-Hind “Mahmud utterly ruined the prosperity of the country and performed those wonderful deeds by which the Hindus became like atoms of dust, scattered in all directions” . He further says (with obvious exaggeration) that the Hindus had become like people of fables (or something of that sort) meaning that they had been nearly wiped out. For a fuller account of Mahmud’s devastation of India, Al Utbi’s account should be read. Mahmud was responsible for the destruction of a large no of temples in nearly every major city that he raided in India. All Indian military history is really a history of laments. Indians lost all major battles that were pivotal in deciding the course of its history. From Battle of the Hydaspes to Thanesar, Khanwa, Panipat, Haldighati, Talikota and numerous other battlefields, Indians just choked at the last moment. That is why Indian history lends itself to a nice what-if daydreaming. What is that stray arrow hadn’t hit Hemu in the eye? What if that chance bullet hadn’t hit Vishawas Rao? My hunch is, despite any of these chance events in battles, India and Indians would have reached the present day in more or less the same shape. India really is a strangely unchanging, placid civilization. As has been famously said -India will go on. Moral of the story – nothing to lament about one really old battle Indians lost because of this one or that one’s cowardice/treachery. It is just one more in a string of such episodes. vijayanagar did not lose all the battles. i mean, on average. but hindsight…. This particular lamentation was written just over a century after the war, not yesterday. And occurs as a tiny part of the much longer history of Kashmir by Kalhana. Don’t miss the wood for the trees. BTW that “placid and unchanging” is a pile of BS. Dead civilizations are placid and unchanging, not living ones. Then he went on a world tour and ended up in Istanbul. The magnificence of grandiose Ottoman monuments went into his head and he started fancying himself as a inheritor of Islamic golden age. The nice little boy from Lahore was now writing..
Iqbal’s journey from Ganga to Dajlah (Tigris) is really the story of India. Nothing captures this story better than Iqbal’s transformation from Tarana-e-Hindi to Tarana-e-Milli. You can add 3rd gen Muslims like Jinnah and Bhutto who made things worse for India and Muslims. Jinnah basing his TNT on 2 completely separate civilizations Hindu and Muslim ,was off the rocker. Still, this bonkers theory sold at the time. Pardon my ignorance, but what’s the significance of the capitalization of intermediate letters in so many of the words in your translation? (It makes it a bit hard to read too.) Are they meant to reflect name conjunctions? I am sorry about the readability though. Thanks, and no problem; my reading got more efficient after the first few sentences. 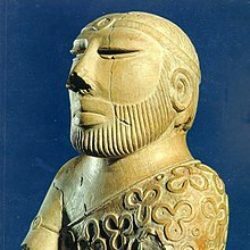 Are the Afghans /Kabuliwalas of present day genetic descendents of Hindu shahi kings and their ethnic group? or was there a large scale flight of Shahis towards interior India after their defeats? Probably both. Shahi or Sahi is a surname found among Punjabi Khatris. Many of the Shahi royals decamped to Kashmir and became a permanent feature of the Kashmiri court for centuries after Trilocana’s defeat. Rajatarangini notes that some moved later to courts in what is now N Rajasthan / Haryana. Hindu Shahi kingdom cannot be considered buffer state. Buffer state is only the first line of defence; and if it is breached other defence formations have to be put in place. I don’t think other Indian kings realized the implications of Shahi’s defeat. Even when Ghorids and Ganzavids were ravaging northwest India, South Indian kings had not heard about it . Each Hindu king waited till the cold steel was at his neck. They joined hands and put up a fierce fight, and ultimately Mahmud was probably fended off by King Vidyadhara. The famous Kandariya Mahadeva temple in Khajuraho was built by Vidyadhara, perhaps partly to offer gratitude for being able to keep Mahmud off. According to “trad” Hindutvavadis, such fierce collaboration and resistance are why we are what we are today (of course, Razib has given various other reasons like demographic heft in his recent post, in addition to the earlier one on population structure). I think this sort of perpetual defeated “Indian” is a bit exaggerated just like we “invented” Plastic surgery and stuff. Considering the effective Muslim rule was roughly about 500 years in most parts of the subcontinent on average , i think “Indians” performance was on par with the Iberians (for better or for worse) . Considering the period 800 to 1200 AD , i would say the N-Western kings performance (Shahis/Zunbils/Pratiharas) was better than its Greek/Iberian counterparts vis a v the Bedouin/Turks. They did lose out eventually but to effectively hold its forth against such a force was laudable. Considering their own size even more so. The events of post 1200s could have easily been post 800s too. The Shahis were no match pound per pound for the Ghaznis just like Chahuan is incorrectly pitted against Ghori. For them to even resist when all others fell by the wayside says a lot. P.S Its interesting how divided the Kashmiri society is . Probably the only other society i can think of is the Punjabi. The only difference is now we have put a barbed wire across them to keep them separate for the sanity of the subcontinent. Calling Kashmiri society divided is a bit of an understatement. It is positively screwed up. And I have seen the screw up with my own two eyes in real time. Let’s not go there.